Ready Set Booth has a wide range of backdrops that you can choose from but sometimes couples get married in locations that already have something fantastic to use as a backdrop! Bryce and Eliicia had their wedding at Valleyfield Farm, and this beautiful wall of hay bales was perfect for their photobooth. 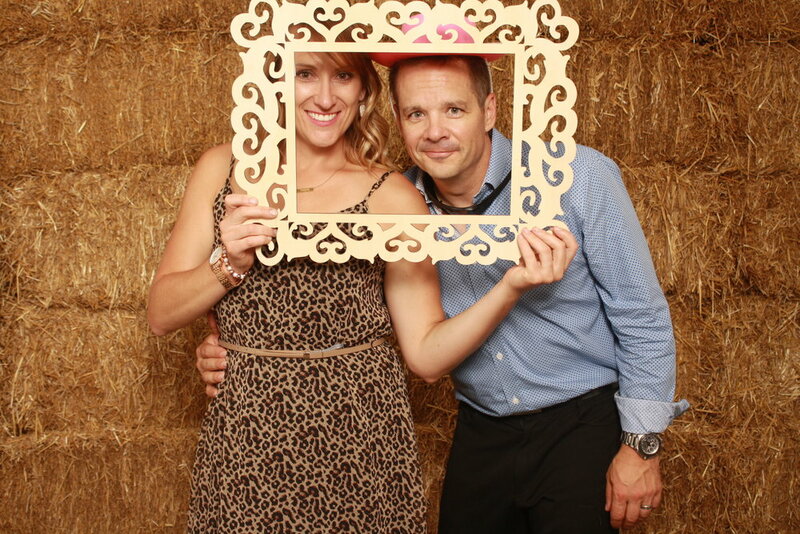 The wedding, being held on a farm, had a rustic feel and the hay bales gave the perfect opportunity to incorporate the theme into their photobooth photos as well. 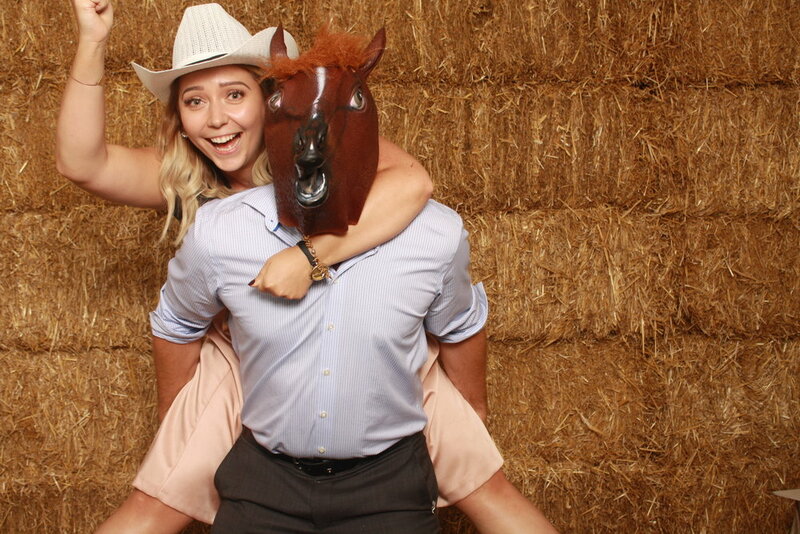 Your photobooth doesn't have to be a stand-alone element of your wedding, you can customize it to really tie in with the rest of your event. 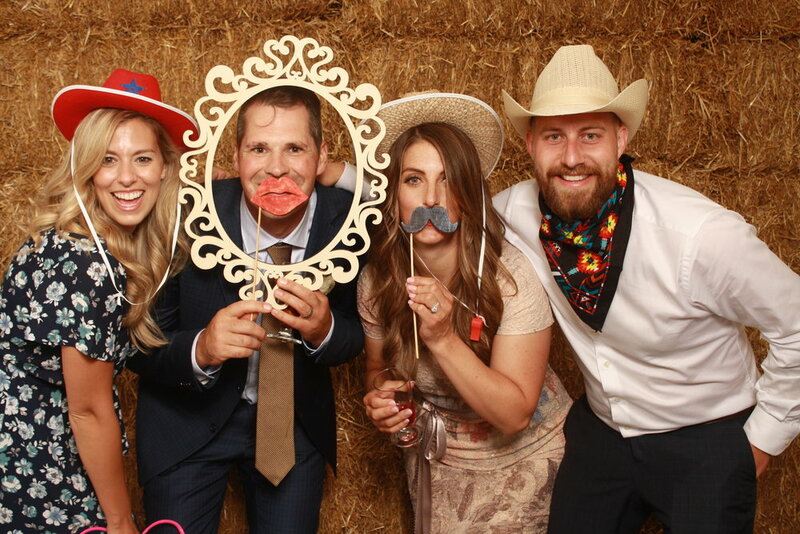 We even do custom graphics for your photobooth printouts to make sure that the photos that your guests take home will be consistent with the look and feel of your wedding, and it's a great souvenir for them to take home and put on their fridge! Make sure you hop in the photo booth with them! 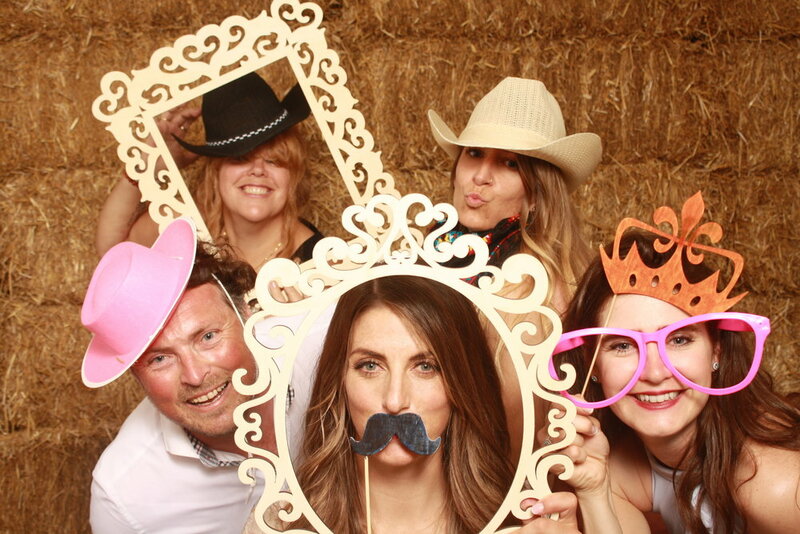 The lighting isn't always the best for phone selfies at wedding reception but our photos from the photo booth are always bright and sharp and perfect for sharing online.